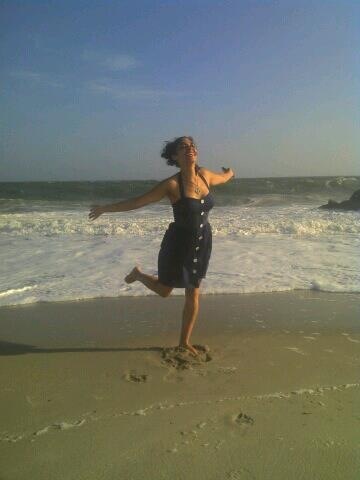 Well, today was a scorcher. It's Saturday, the first day of June and I wanted to get outside as early as possible to get some weeding done before it got too hot. I ended up outside at 9:30 in the morning and it was already 600 degrees out (at least that's what it felt like). 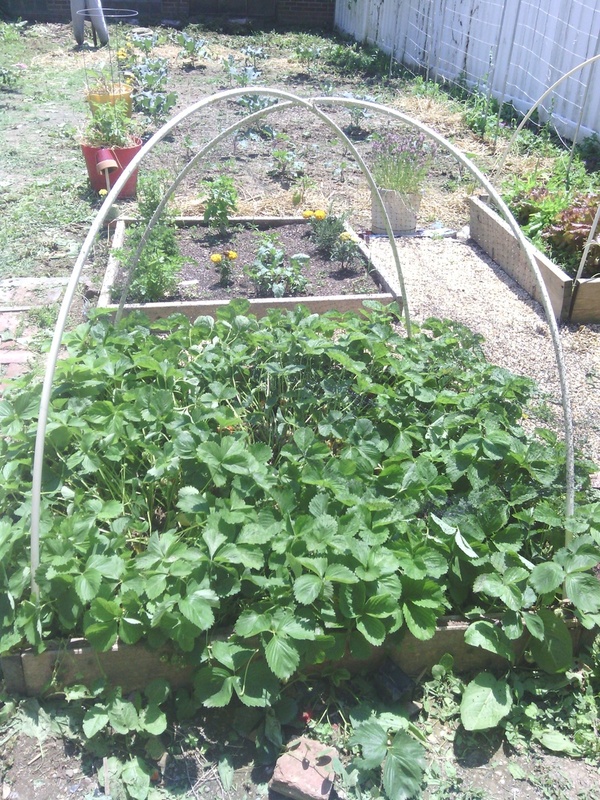 I did some weeding and hoeing around my garden and then went to the strawberry bed to pick the strawberries. I've been picking at least a bowl full every day for the past week. 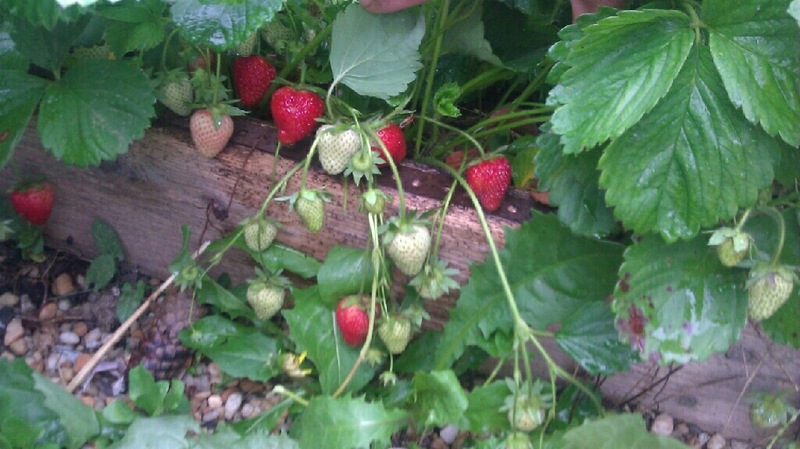 I have my strawberries in a 4X4 raised bed and that provides enough of these fruits for my whole family. I only started out with about five strawberry plants, but then they shot out runners that created more plants and now you can hardly see any dirt under all that leafy foliage and I have no idea how many plants are in there now. Fifty? A hundred? No clue. Anyway, we get tired of eating strawberries every day (I know it sounds crazy, but we can't just keep eating bowls full of this every single day). I started to freeze strawberries to make smoothies. Last year I did this and we were enjoying smoothies well into the winter months. I'll share my recipe for this in a later post. So here's a picture of my 4X4 bed. If you look closely you can see I have a black bird net draped over the PVC piping to keep the birds and other critters from enjoying the fruits of my labor (literally,LOL). 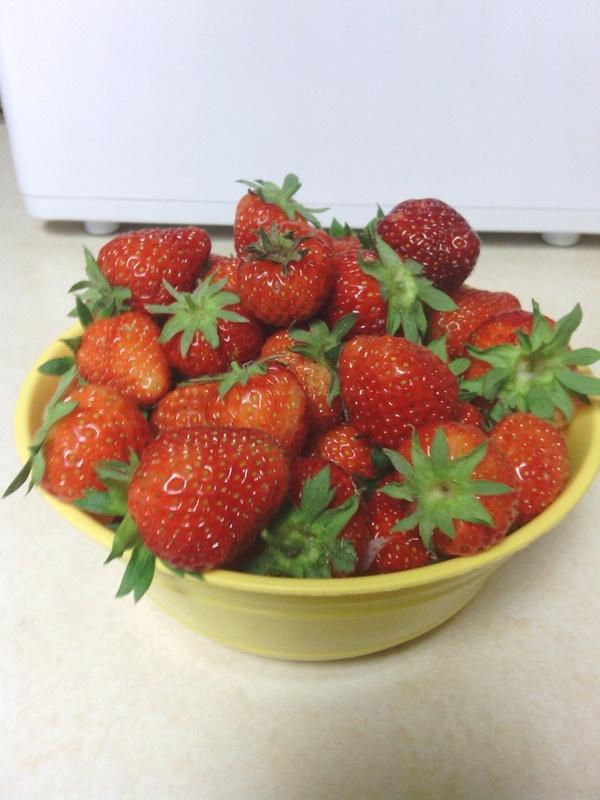 Here is the batch of strawberries I picked in the boiling heat today. 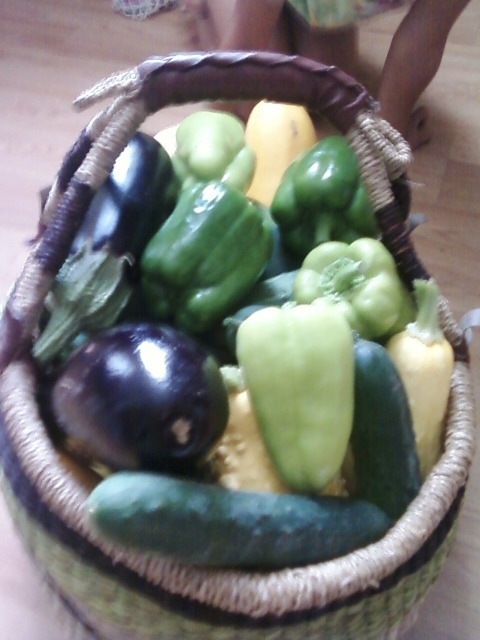 I can't explain the joy of picking fresh food from your garden, but holy cow it was freaking hot! I was pouring sweat and somewhat miserable. I had so many strawberries all over the place that needed to be picked and I just couldn't take the heat anymore so I picked one bowl full and went out again later to pick the rest. 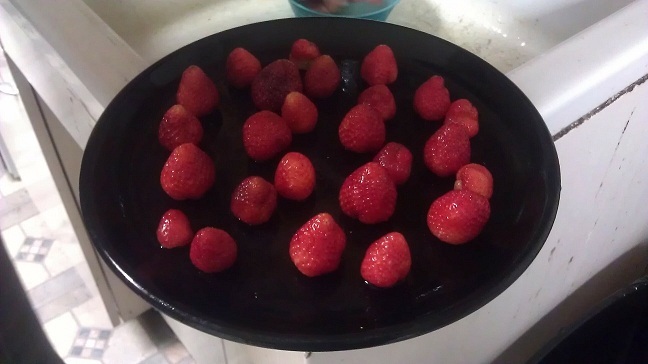 I place all the washed strawberries on a plate and put them in the freezer (okay, the ones that make it to the freezer. Hey, who can work with fresh-picked strawberries and not eat some?). Once they are frozen, I put them in a freezer bag (not an actual "freezer bag", more on that later) and we use them to make smoothies (more on that later too). I freeze them on a plate first because if you just put them in a freezer bag they get stuck together. If you freeze them separately and then put them in a freezer bag, they stay separate and it's easier to get what you need rather than trying to smash apart a frozen block of strawberries (trust me, I know).